Current 3M employee and 2002 Future City Competition participant Jo Etter, was inspired to join Future City by her English teacher at Minnesota’s Chippawa Middle School. 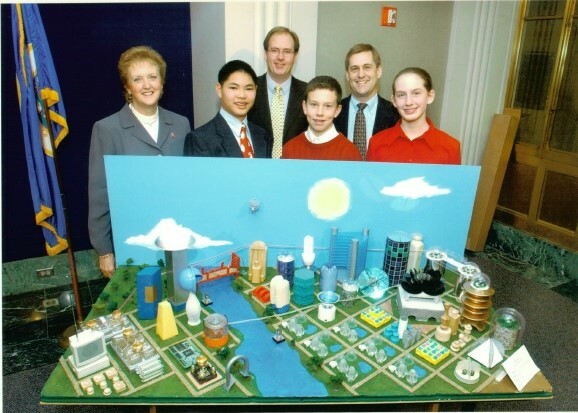 That year the theme was energy sources for powering cities. “Getting an intro to the different types of engineering helped shape my career path even though I didn’t realize it at the time,” says Jo. If there is one piece of advice that Jo has for Future City participants, it is to “get out of your comfort zone, and try all of roles within the group!” Through working with her group and presenting at Future City, Jo learned that the groups where everyone speaks up are not only more successful, but learn more about themselves in the process. Take Jo’s team for example - they went on to win Nationals that year!